Locate and compare Policy Rate Quotes for NJ Home Insurance – Insure properties personal or commercial owned. NJ Home Insurance quotes and consumer help for insuring your New Jersey house. Get free quote help and rates and learn various NJ policy coverage types. Click on the image below to request help with a quote. We even have coastal and very hard to insure homeowners insurance! Get the best coverage for your home and sleep better at night and be properly insured today or just use our quick quote request form below. New Jersey Homeowners insurance quotes multiple companies (856) 352-2101. Homeowners insurance, is an insurance policy that combines various personal insurance protections which can include losses occurring to one’s home, its contents, loss of its use, additional living expenses, loss of other personal possessions of the homeowner, as well as liability insurance for accidents that may happen at the home. The cost of homeowners insurance in New Jersey often depends on what it would cost to replace the house and which additional riders additional items to be insured-are attached to the policy. The insurance policy itself is a lengthy contract, and names what will and what will not be paid in the case of various events. Typically, claims due to earthquakes, floods, “Acts of God”, or war (whose definition typically includes a nuclear explosion from any source) are excluded. Special insurance can be purchased for these possibilities, including flood insurance and earthquake insurance. NJ Home Insurance Quotes Offerings. The largest single investment most consumers make is in their home. In order to best protect your family, your home, and your possessions, it is wise to take the initiative to fully understand your homeowners insurance policy. While it is difficult to predict future loss, you can minimize the impact of loss on yourself and your family by spending the time necessary to familiarize yourself with your policy and how it specifically addresses your needs in the event of a loss. Homeowners insurance is a package policy consisting of different types of coverage for the house, its contents, additional living expenses, personal liability claims against the policyholder and other members of the household, and medical payments to others. The policyholder pays a single premium amount for the combination of coverage listed in the policy.. When you purchase home insurance, it is important to remember to shop for insurance in the same way that you shop for any other consumer product. Take the lead in shopping for and understanding your insurance policy. Make sure to compare prices, policy coverage and conditions, and complaint information. Also, research the coverage options that are available to you. Don’t rely only on the word of someone else, including an insurance agent or broker, as to what is the “best coverage” for you. Find an agent or broker who is willing to spend time discussing your needs and how specific insurance coverage can best meet your needs. It is always wise to compare policies on your own to help determine the best product for you. The largest single investment most consumers make is in their home. In order to best protect your family, your home, and your possessions, it is wise to take the initiative to fully understand your homeowners insurance policy. While it is difficult to predict future loss, you can minimize the impact of loss on yourself and your family by spending the time necessary to familiarize yourself with your policy and how it specifically addresses your needs in the event of a loss. 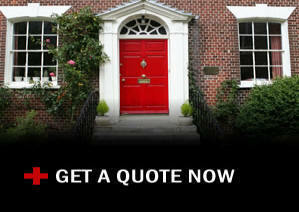 Home Insurance New Jersey Quotes Master List all Insurance Types. Home Owners New Jersey Insurance Policies more info..